Here at RB HQ, we have been excited for weeks now as we worked to launch this latest website, which we think is going to revolutionize the way home projects get done. We think you’re about to agree. Waiting to get those job offers are service pros — hard-working people who may have holes to fill in their schedule and would be willing to accept a price different from the norm in order to increase their revenue and win a new customer. For them, it’s a way to grow business that just makes sense. What makes Name Your Price Home Services different than other similar companies is this: service pros only pay for actual work, not job leads that they have to compete for. And you only deal with the one company who accepts your price first, not several that you have to spend time getting bids from. Everybody wins. In addition to our immediate buy-in to this fantastic concept, we also loved working on this project because of the coding challenges it presented. As you can imagine, the complexities involved in generating the average price paid, and then the behind-the-scenes work to get those job submissions out via email and SMS to the correct service pros… the triggered emails that go to the price submitters, the routines that had to be written to handle the various scenarios (the job is accepted, the job is not accepted, etc.). There was some Herculean coding that went on for several weeks at our offices. We love projects like this! We’re pleased to be part of this ground-breaking business. Spring cleaning and yard work are just around the corner. 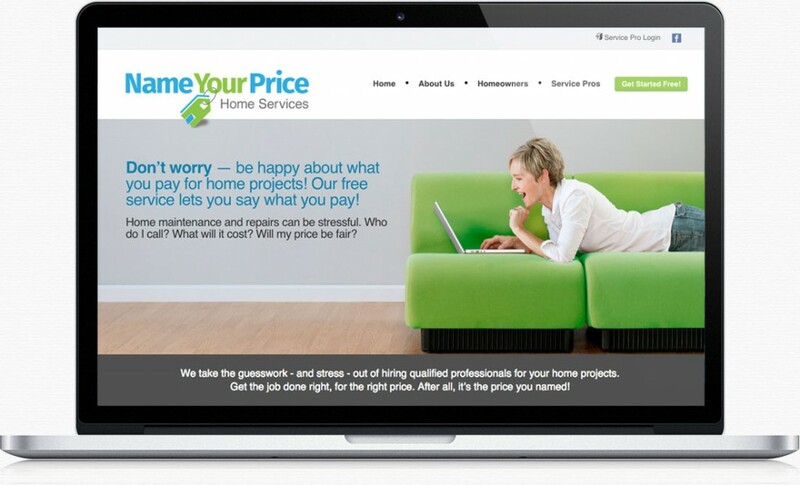 Check out Name Your Price Home Services for your next project! This article was posted in Code, Design, E-Commerce, News Releases. Bookmark the permalink. Follow comments with the RSS feed for this post. Post a Comment or leave a trackback.